Home > KMS	> Saint Saver’s Resurrection! 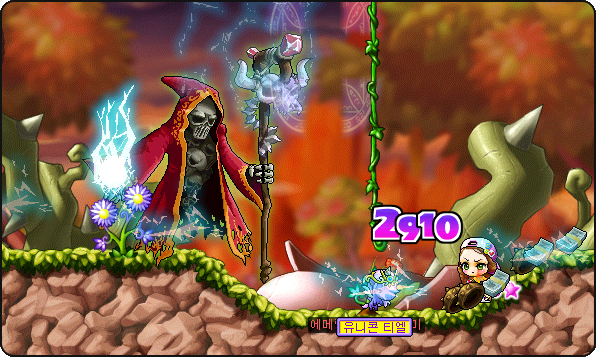 A new event from the Archer Jump patch, Saint Saver’s Resurrection! Once you log on, you’ll see a Saint Saver Stone on the left side of your screen! Cassandra will tell you which maps you can hunt in. You’ll receive these two items. 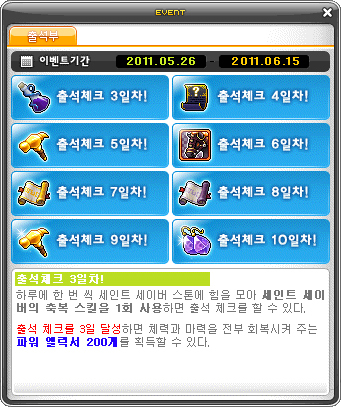 The first is the Saint Saver Stone, and it allows you to fill the Saint Saver gauge each day. The second is the Attendance Book which records how many days you have filled up the gauge. 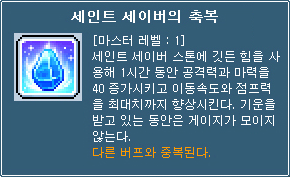 You receive the Saint Saver’s Blessings~ For one hour, it gives 40 attack and magic attack! Getting the Blessing also gives you a stamp in the Attendance Book! You can log off and repeat this part of the event as much as you want, but you get only 1 stamp per day. The Saint Saver Earrings! They give 3 to all stats, 200 HP/MP, 80 magic defence, 100 accuracy and avoid, and 10 speed and jump. They also give 40 Charisma, Insight, Will, Craft, Sense, and Charm! 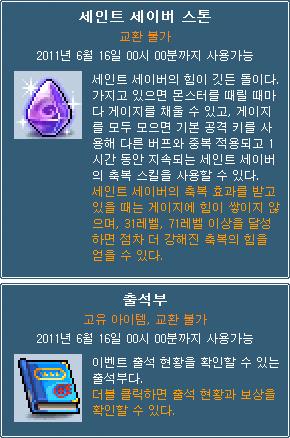 Lol yeah I basically just translated the Maplestory site notice. DEF. THE BETTER BLOG RIGHT HERE. a good way to get more visitors is to put a fuckton of useless tags in your posts. A good writer needs quality readers, not quantity. so, i have to say, i think i support you becoming the “next spadow”… good luck!! I want you to be the next Spadow! :O nice detail meng..
kMS ver. 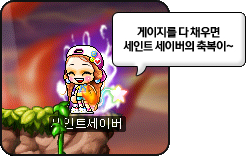 1.2.134 – New Events kMS ver.1.2.133 – Party Quest Revamp & Archer Jump Update!